Do you know what you would do if you or a member were faced with a sudden medical emergency? Or what would you do if your child had a sore throat and fever but could not get an appointment to see their regular doctor? You would probably take a trip to your local emergency room which could mean long waits and higher medical bills. But now you have an alternative for receiving emergency care for your entire family. Come to see us for Brooklyn medical care, when you need urgent medical care. The name of our comprehensive practice is First Response Urgent Care. It provides an excellent alternative for emergency room care, and you will not have to spend all day in the hospital while you wait to be seen and treated. 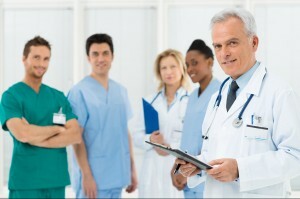 We provide Brooklyn medical care for patients who need emergency room services and require immediate care. We are able to help patients who are experiencing difficulty breathing, head trauma, or other serious medical injuries. We have digital x-ray on-site which is read by one of our highly trained board-certified physicians on duty. We also usually transmit our images to be reviewed again by a board-certified radiologist. Among the common ailments that are diagnosed this way are fractures, pneumonia and other health issues. 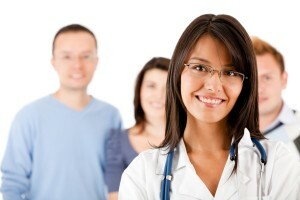 Our Brooklyn medical care also includes a complete range of internal medicine services. These can include blood tests and annual exams, including tests for high blood pressure, high cholesterol, diabetes and thyroid issues. Our doctors also routinely treat strains, back problems, colds and flu, nausea, burns, some broken bones, lacerations and more. Our practice is open to all members of the family including infants, toddlers and young children. Many children are brought to us for treatment who are suffering from a cold, ear infection, fever, or a serious cut that requires stitches. Our doctors are sure to treat your child in a safe and calming environment. We are also able to treat minor burns in our care center. We also see many people who have some kind of cough resulting from one of many causes. Coughs can result from viral or bacterial infection, but also from allergies, asthma or even heartburn. We are open seven days a week to treat patients with appointments and emergency situations. This entry was posted in Uncategorized and tagged Brooklyn, emergency care, health issues, internal medicine services, medical care, Urgent care office on April 6, 2016 by admin. 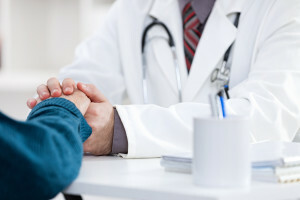 Do you have a great doctor that you can depend on to be available when you need them? Are you looking for a doctor who can treat all members of your family, including children and older adults? If so, you will want to become familiar with our medical practice, First Response Urgent Care. If you are in need of a great place to go to where you can see a Brooklyn family doctor who is expert and highly-trained, we are the practice for you. Our practice delivers the highest quality medical care for all members of your family. And whether you are in need of your annual check-up, or the services of a hospital Emergency Room, your needs will be met by your Brooklyn family doctor. We offer emergency room services without the emergency room wait – and that is a great thing for our patients who find themselves in need of unexpected, emergency services. Some of the many services we provide include: pediatric care; vaccinations; women’s health care; lacerations care; head injury care; treatment of sprains; and allergy treatment and prevention. You can make an appointment to see a doctor at our facility, but walk-ins are always welcome. We do want to stress to our patients, that there are some times when patients should proceed directly to a hospital emergency room, such as in the case of a suspected heart attack or stroke. However, in most medical emergencies, we will be able to provide comprehensive, expert and highly-trained treatment right here in our well-equipped facility. Our doctors also perform annual exams and treat: strains; backaches; colds and flu, pink eye; earaches; lacerations; rashes; sore throats; dehydration; burns; nausea and more. We are open seven days a week. So whether you are in need of your annual physical, or need sudden ER treatment, our Brooklyn family doctor stands ready to help you at First Response Urgent Care. This entry was posted in Medicare and tagged Brooklyn, emergency care, medical clinic, medical emergency, medicare, urgent care brooklyn. urgent care nyc on June 25, 2015 by admin.